Technically, a database is any meaningful organization of data. We use this organized data for different end goals and wide-ranging applications. For example, for any business to serve the right customers effectively, it needs something more than just a list of their emails and phone numbers. It needs their location, their gender, what they do, how much they earn, etc. If you go to the mall to shop for clothes and you give them your phone number at the time of billing, they are using a database to record it. Ordering a pizza? They know you from the first time you ordered and gave them your phone number, which they stored against your name in their database. So, is it a CRM database or is it any different? Yes, CRM is the first technological touchpoint for your contact information in the company. Why use a CRM database? In the past (talking about the 70s and the 80s – the baby boomers generation), the nature of marketing and sales in any company was transactional. “You build, they will come” was the mantra of business. The better product you built, the longer they stayed. With the advent of the internet and technology, this nature of the buyer-seller relationship has changed. In fact, it has turned on its head a full 180 degrees. The focus now is not just on building good products, it’s on how well you serve the customer. Of course, the product focus (i.e. it’s quality/value/benefit) has not gone anywhere. Serving the customer now means providing them with a consistently positive brand experience backed by a solid strategy for satisfying them. This has given rise to a whole new software industry called Customer Relationship Management, or the CRM industry. But hey – weren’t we just talking about databases? Understanding why a CRM is needed is the first step to learning about CRM databases. At the core of any CRM software is its database. Every business collects data about customers. A CRM database can help you get the best out of this customer data. In this article, without going into technical details, we will tell you how a CRM database can be useful and how to maintain it in the best possible way to ensure high efficiency. 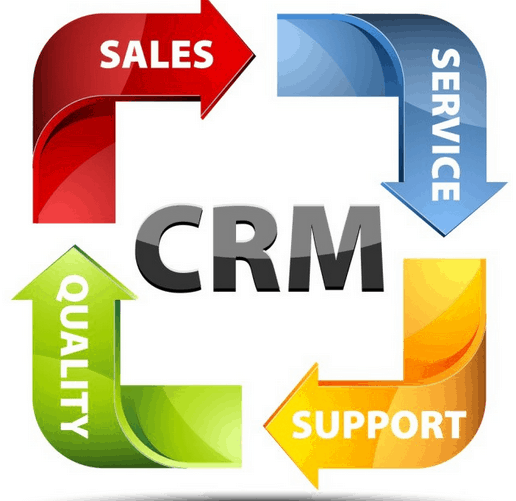 The CRM database is a part of the CRM software system. It is the central container of data which supports all the other key modules of the CRM system responsible for all of its other functions. All these modules read from and write into the CRM database. When you capture a new lead, a fresh record is created in the database. After a successful marketing campaign, the lead turns into a paying customer and its record in the database is updated accordingly. 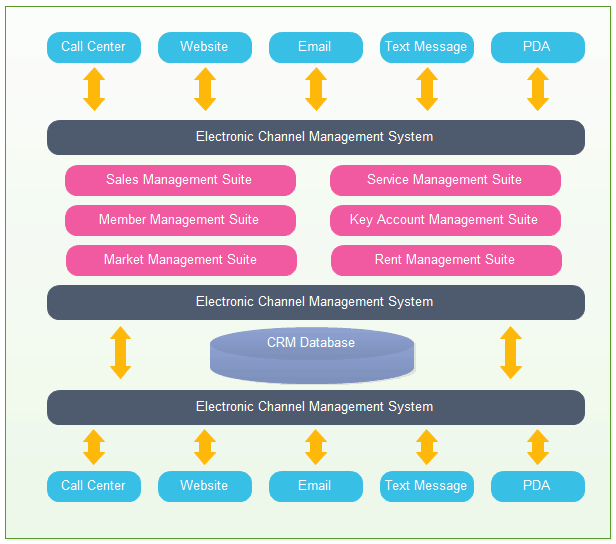 This is only a sample, but it tells you how other modules of the CRM may be organized around the CRM database. Most CRM software systems utilize an advanced version of the database, called the CRM Data Warehouse. To give a very short, non-technical brief, the data warehouse is best suited for applications which analyze large-scale data from multiple sources. The idea behind a CRM Data Warehouse is that if we analyze the data more deeply, we will get a higher quality of business insights. They are used by all the major businesses in the world (Amazon, Netflix, etc) to get the best out of their customer data and to delight their customers. A CRM database contains all the information which is collected, stored, or analyzed by the various modules of the CRM system. These modules will then make use of this data and manipulate it to offer the innumerable advantages of the CRM to its business users. Where did the lead come from? Reading from the source information coded in the URLs, the CRM database can identify the source of the lead (email campaign, organic traffic, social media, etc) and collect more information about it. The CRM database keeps a record of all phone calls, all email interactions, data tracked during their website visits, and all other touchpoints. Other CRM modules help analyze customer interactions and extract insights from them. It ensures that the entire team remains in sync about all customers. The supporting CRM modules will analyze patterns in customers’ order history and help the marketing team extract insights that can be used to obtain new customers. All the data which can help you maintain a positive, productive relationship in the long term is recorded in the CRM database. This includes information about their hobbies, interests, motivations, fears, etc. 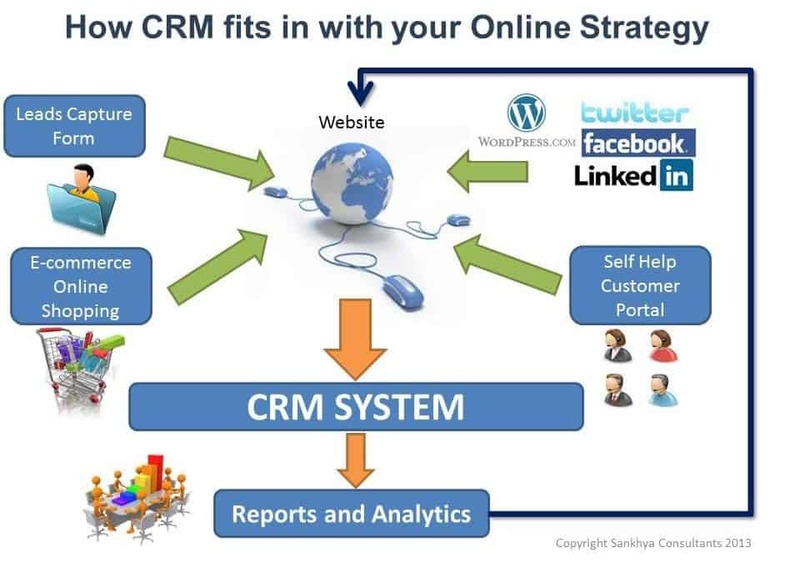 CRM system (backed by a comprehensive CRM database) exposes more of customer data to companies. There is enough proof that customer data helps businesses outperform their competitors over the long term. Modern customer is interacting with several brands at once. Getting your brand noticed requires something special. What’s more special than a personal connection straight to the customer’s heart? Personalization does just that. It uses basic personally identifiable information in all your outgoing communication to make your messaging more relevant to the customer. More detailed information can be captured in the CRM database or it can also be derived in the form of insights from existing data. And before you ask – yes, personalization does work! Genome Research by Infosys has proved that 86% of customers use personalization as an explicit factor to decide if they are going to buy. It means that personalization is a factor that is consciously noticed and highly appreciated by customers. Not just that, customers actually prefer brands who make their shopping relevant by using their personal information. For more details on this, check out this article by Grace Nasri on Digital Trends. On a humane level, there’s nothing more painful than seeing a client who you spent so much time acquiring leave within the first year. CRM can help prevent that. Your CRM database can help you find customers at all levels. Those who only waste time with complaints and service requests but are not profitable enough. Those in the middle tier, whose spends are neither the lowest nor the highest. Those in the top tier, who spend the most with you and thus deserve your highest attention. The more personalized attention you can give to your most profitable clients, the more recurring business you get from them. Ultimately, your customer retention rate doesn’t suffer. Just analyze it by using the CRM reports. Find things that worked for the last few closed deals – those are the things that have pushed your sales higher. Also look for a similar pattern of tasks in the lost deals pile. If you are currently doing those activities that you have observed as detrimental to your sales process, stop doing them. Let your entire sales team know that these things are not working with customers so they don’t repeat these mistakes. Deriving sales process efficiency is simply a matter of looking through the data captured in your CRM database. Then do more of what works and less of what doesn’t work. In a 2015 study by Capterra, about 39% of businesses reported that CRM helps them upsell better. As you look through the customer data, some patterns are hard to ignore. For example, if a customer has continuously bought high-ticket items from you, you can pitch other high-priced products to him. The record of a budget customer would reflect the opposite trend and can be utilized similarly. This is called Upselling. CRM systems can also automatically remind the customer when their contract needs renewal. If a customer has bought a few items but lacks other items in one of the collections you are selling, this is an opportunity. Send them a small discount on the list of products they have not bought from you. This is called Cross-selling. Try upselling and cross-selling from your CRM and see how it affects your company’s bottom line. Great companies understand customer engagement and use CRM to raise their customer service levels. This allows them to understand the customer’s problem, serve them better, and prevent them from jumping ship. Because your CRM system captures every customer interaction on a single screen, you get to see what’s working. But most importantly, you will also see what’s NOT working. If you have a lot of customers leaving you, your CRM database will give you an understanding of their problems. You can find out what their problem is and control the experience you offer your existing customers. As shared earlier, CRM also provides opportunities to replicate successful customer engagement and sales strategies. Overall CRM elevates your brand’s customer service levels by reducing negative experiences and increase positive experiences with the existing customers. CRM software systems are meant for business growth by using the various types of customer data to its full potential. Most CRM providers don’t have the capability to fix the errors in the data. Doing so would require sophisticated artificial intelligence applications which can increase the cost of the CRM product manifold. 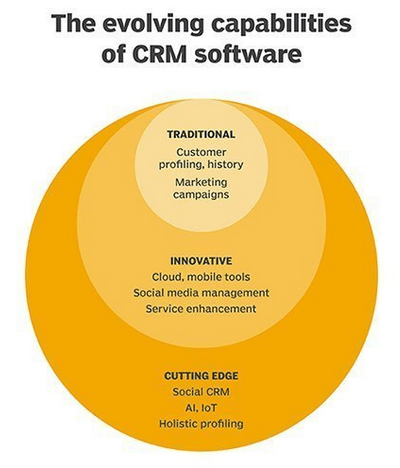 Besides, CRM is a software tool; it is not an end-all, be-all solution that solves all the problems. Yes, it does improve business and customer service efficiency, but it is not without its salt. Your CRM database will require maintenance after you purchase it. So here are some tips to help you maintain your database to ensure it is performing at the highest levels. Many times the sales reps make data entry in a hurry. They may leave out certain details because there are so many details to fill. As a result, many records may be left incomplete. Furthermore, it hinders certain CRM functions as they are not able to get complete records. To prevent this problem: During your CRM planning stage, define what are the most essential fields and mark them as mandatory while creating these fields in the database. This prevents incomplete records. When data is coming in from multiple sources, the chances of inconsistencies grow exponentially. Bad data will give you inaccurate insights or sometimes no insights at all! For this reason, you should restrict access to this data to only the most important people in the sales and marketing teams. Often, the lead will get a call from multiple sales reps. Data duplication is often a big menace when you have a large team using your CRM database. To get rid of this problem, schedule periodic checks to remove any duplicate entries and merge similar records. You could also ask your CRM provider to add such a detection and cleanup feature for dirty/duplicate data entries. The magnitude of losses faced by industry due to poorly maintained CRM data is huge. These tips will bring a greater focus to CRM database maintenance. Talk to your senior management and propose a data consistency model to them. Get someone with data management experience to design this baseline model. Getting commitment from senior management ensures their support when implementing the model as rules/guidelines with your executives. It ultimately ensures greater compliance. Create a data quality policy and train all your teams to follow it within their own teams on all levels of data, Get them to scrub all the existing data to follow this policy. Identify instances where manual data entry occurs and individuals who have a history of these errors. Work with these individuals to help them set a professional data consistency standard. Automate as many sources of data entry as you can. This minimizes data errors due to minimal human interventions. Setup data audits every month or every quarter to further reduce the chances of dirty data. Modern customer and his internet-fuelled access to technology have transformed the traditional buyer-seller model completely. Today, customers come to you and not the other way around. Also, just making good products is not a guarantee that customers will come to you or stay with you. The modern customer cares about the overall customer experience as much as he cares about the quality and value of the product in his life. A CRM system uses a CRM database to unlock awesome opportunities that can really help shape your customer service policy. You get personalization inputs from the CRM. You can find the highest and lowest paying customers. By taking a peek through the customer journey, you get an idea of what’s working and what’s not. You then get to replicate the good parts of the sales process across all customers. Upselling and cross-selling are ways by which your CRM database recommends new products to your existing customers. This ultimately boosts your company’s revenue. Finally, maintaining a database is also your responsibility because the CRM database isn’t going to clean itself. Regular checks and clean-ups can help reduce errors in customer data, which minimizes the possibility of long-term losses and provides accurate insights from the CRM database. Is An Easy-to-Use CRM the Best Sales Software for Your Business?